Foodies, rejoice! In honor of my abiding love of chicken wings, I am starting a new series here at The No Seatbelt Blog that will present some of my favorite places in New Jersey to eat a plateful of saucy, crispy morsels of joy. Get your wet wipes ready because it’s time to get messy. 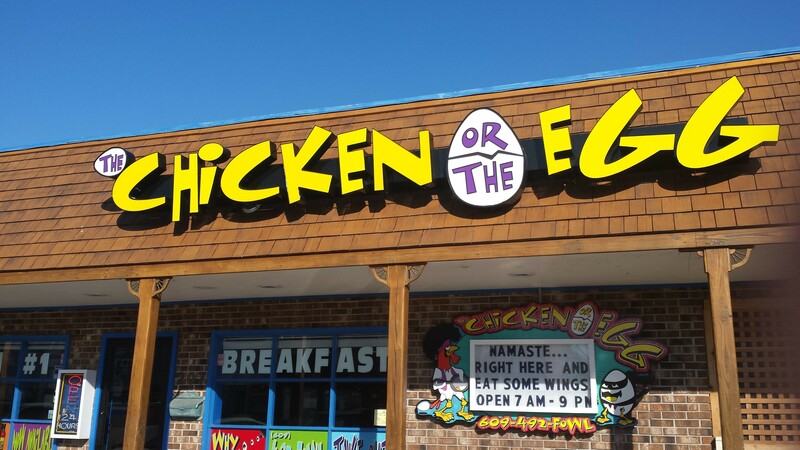 This new series, “Wings Over NJ” kicks off with the local legend called The Chicken or the Egg, which is affectionately referred to by locals as “The Chegg.” Situated far down the strip on Long Beach Island, The Chegg is open from April to October and is one of the last bastions of the 24-hour diner scene in New Jersey. The Chicken or the Egg serves breakfast, lunch and dinner (all of which you can order all day), but is known primarily for its wings, because of its extensive selection of sauces with which you can douse your plate of poultry. I cannot go to The Chegg without ordering wings, and every time, they are worth driving nearly an hour each way from my house. I have tried a few different sauces that are offered by The Chegg, but my favorite by far, the one that I get every time I go now, goes by the name of Santos. One of the tastiest sauces I’ve ever eaten, Santos is an incredible mix of spice, garlic, and barbecue flavors that mesh perfectly together. The barbecue and spice combination provides a creeping heat that culminates in a powerful, burning punch after a few of these gigantic wings. The wings at The Chicken or the Egg, I can say with confidence, are the biggest, meatiest I have ever had. I have eaten countless wings, and have had some skimpy, pathetic ones in my time, but the wings at The Chegg more than make up for those disappointing experiences. Just a half-dozen of these wings can be a meal unto themselves. 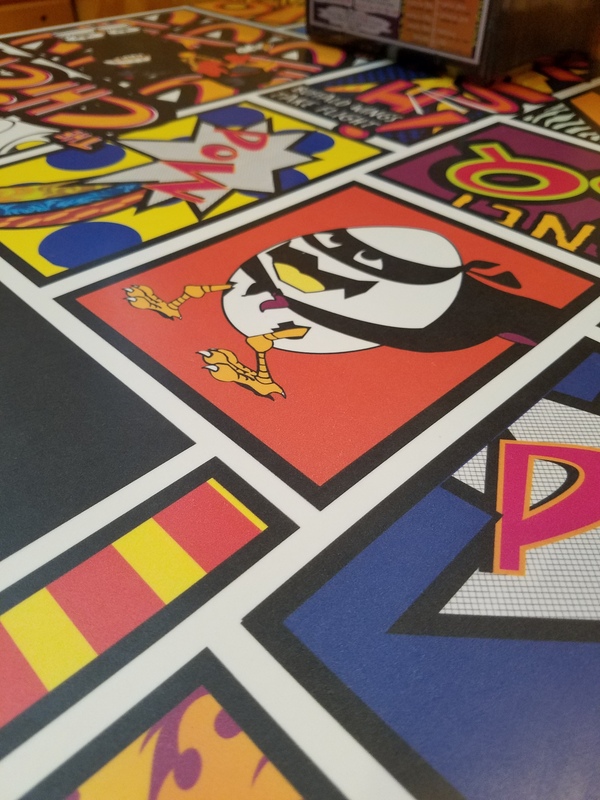 The Chicken or the Egg is an extremely popular joint, and the wait for a table can be discouraging, but the good news is that once you’re seated, your food will likely be on your table within minutes, especially if you’re ordering wings. With the amount of volume this restaurant does, they must be continually cooking wings so that they can simply spin them in some sauce and send them right out. 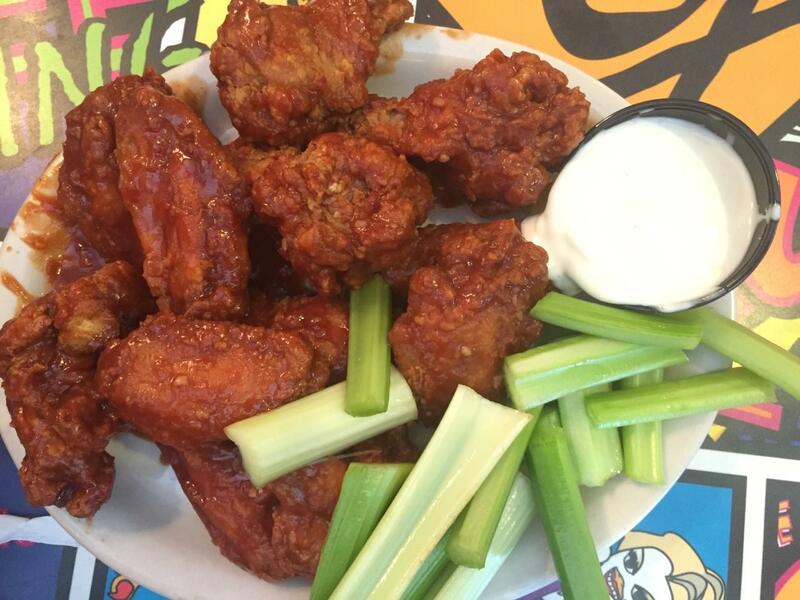 You can order your wings Original style (breaded) or Naked (not breaded, if you’re counting carbs). If you’re a true wing lover you know that bone-in is the only way to order them, but The Chegg offers a boneless option for amateurs. An added bonus to the tremendous wings is the fact that The Chegg is a BYOB restaurant, and upon request, the servers will even bring out a bucket of ice for you to chill your brews. If you’re into great wings, and you live in the area or are on vacation at the Jersey Shore, The Chicken or the Egg is a must. Enjoy the wings, the quick service, the freedom to bring in an adult beverage of your choosing, and the extended hours. You won’t be disappointed. Stay tuned for another edition of “Wings Over NJ,” which can be found under “The Gastrohub” at noseatbeltblog.com! More to come!